It’s a botanical rarity with a pretty sound. Thanks to Sarah for suggesting Plumeria as our Baby Name of the Day. Lily and Daisy and Rose have all been popular in recent years. 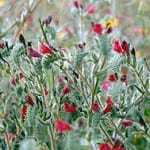 But some parents are intrigued by even bolder floral name possibilities, ranging from the pan-botanicals, like Blossom and Petal, to unexpected flower names, like Edelweiss. Plumeria is definitely among the latter. The flowering plant is native to Mexico, Central America, and parts of South America, and the Caribbean. The sacuanjoche is the national flower of Nicaragua – it’s a variety of plumeria. It’s widely familiar thanks to perfumes and lotions and body washes, which tend to have a tropical vibe. You might also know the bloom or the fragrance as frangipani. That’s thanks to sixteenth century Italian nobleman, Muzio Frangipani. He used the flowers as the base of a fragrance, and the scent became associated with his name. Frangipani is fun to say, but I think it would almost certainly qualify as a crazy baby name. As for Plumeria, that comes from the name of the French botanist who documented the plant during his trips to the New World in the 1600s. Charles Plumier travelled widely, and was among the most important natural scientists of his day. I reached a dead end researching the meaning and origins of Plumier’s surname, though I suspect it’s related to Plumer, as in a tradesman who sold feathers, though it could be a cousin to Plummer, a surname for someone who worked with lead pipes, or maybe even our word plum. There’s also Melia, a given name for girls in Hawaii, derived from the Hawaiian name for the flower. They’re popular in leis. 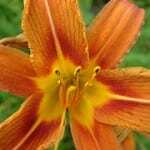 One reason to choose a flower name might be the many meanings associated with a particular bloom. 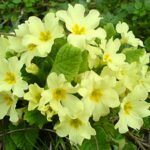 There’s no shortage of associations with this flower, but they aren’t nearly as simple as the Victorian language of flowers. 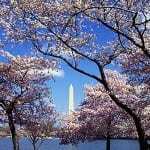 In some Asian cultures, it is said that the flowers offer shelter to ghosts. They’re commonly planted in cemeteries. In some cases, that may simply be because white flowers are traditional for funerals. However, it’s also used for weddings in the east. Incense is made from the plant, and it’s also common around Hindu and Buddhist temples. 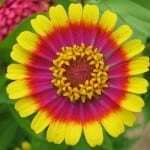 In Mesoamerica, the Mayas and Aztecs used the flowers for a variety of purposes. At the height of the Aztec Empire, they were favored symbols of the elite. This name is so rare that it has never been given to even five girls born in the US in a single year. I did find one woman by the name in 1930 US Census, and a few others in various public records. But it’s safe to say that if you chose this name for a daughter, she’d likely never meet another person with her name. The name shortens to the edible – and equally unusual Plum. One thing that makes Plumeria more familiar is the -ia ending, found in so many current favorites. 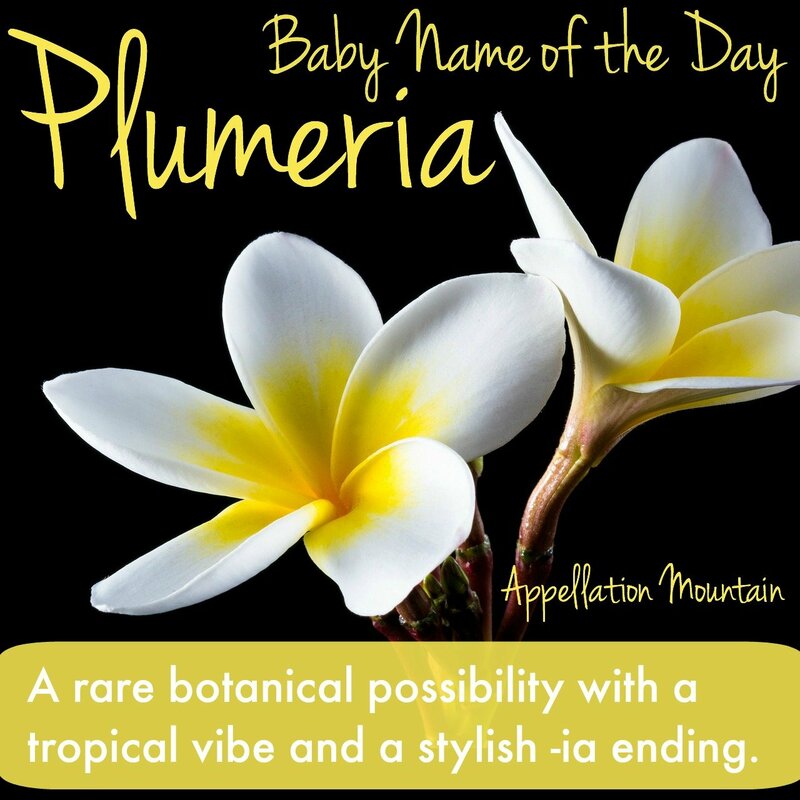 Overall, if you’re after a truly different floral name for a daughter, Plumeria is one to consider. 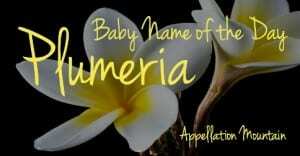 Do you think Plumeria works as a baby name, or is this one just too out there? This flower is also called the wild poppy. I used it for a character once.